I’m writing to you to express my disappointment with your dishonest $2.50 pricing plan. I hope that you will take the steps to fix this problem. I’ve written this letter in segments to hopefully clarify the sequence of events and how I came across this issue. 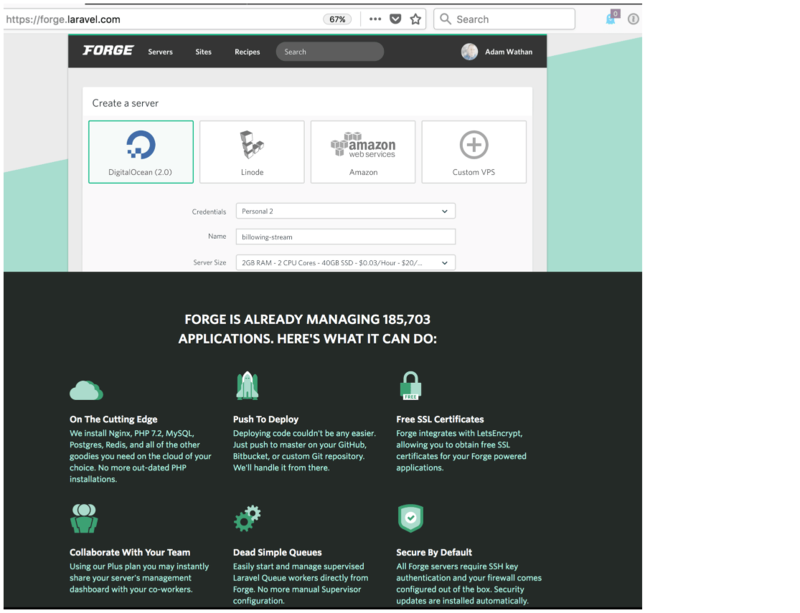 When I logged into Laravel Forge, I saw that I had quite a bit of choice for a Virtual Private Server (VPS) service. I’ve known about Digital Ocean, Linode, and AWS for quite a long time but I didn’t know about your offerings. Which VPS service to use? As I’ve mentioned – this is a hobby project, so I looked at some price comparisons looking for the least expensive plan. If it’s a hobby project do I want to spend sixty dollars per year (i.e. $5 x 12 months ) or thirty dollars per year (\$2.50 x 12 months)...tough choice. 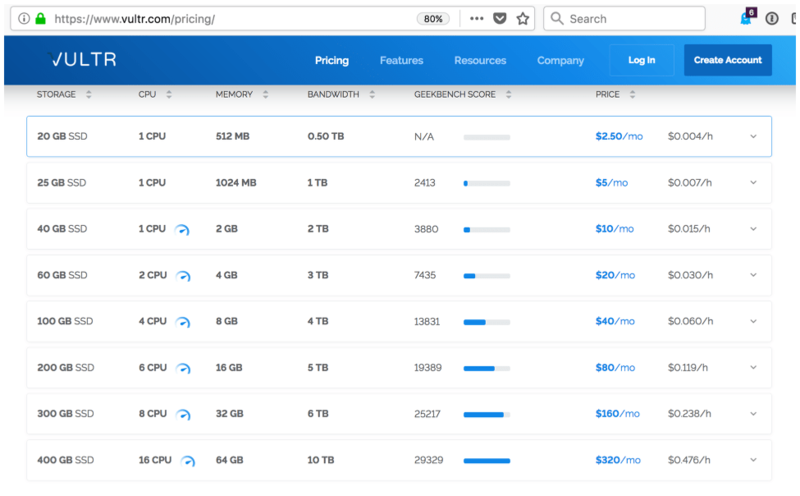 So I chose you Vultr…. Naturally I gravitated towards your service 💸 due the $2.50/month ($30/year) plan. It seemed perfect for my hobby project. I didn’t need much performance, just some way to release my project to the world. So I created an account on your service and purchased $10’s worth of time. After all, four months would be a great trial of my project. At this point, everything was very smooth – nice on-boarding, rapid capture of credit card. All systems were GO…or so they seemed. 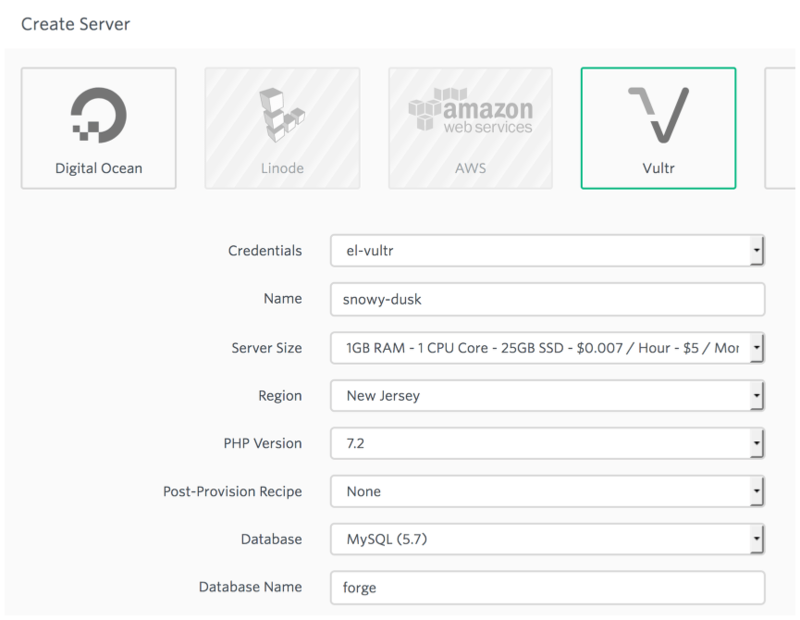 I configured Vultr as a VPS option on Laravel Forge noticing that the Server Size was set to $5. So I went to the “Server Size” dropdown to choose the $2.50 option and lo and behold – there was no such option. This was strange…was there something wrong with Laravel Forge? So I emailed Taylor Otwell about the missing Vultr pricing tier, and within 5 minutes I received the following email response. 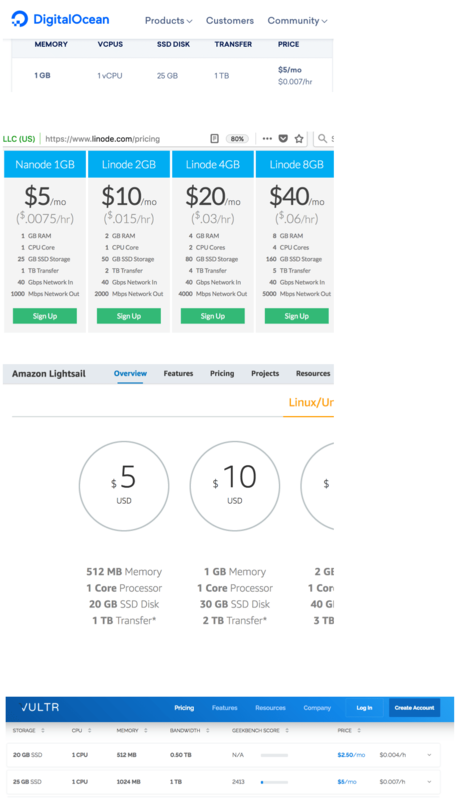 My first thought was “wait…that doesn’t make any sense – Vultr’s pricing page shows no distinction between the $2.50 plan and any other plan besides performance – what did I miss?” So I went back and looked at your pricing page and indeed there was no mention whatsoever that API access was excluded for the $2.50 plan. If you look at the screenshot of your pricing plans – do you see a difference besides benchmarks? So I contacted your support (whose response was very fast…so good job on that), and I got a response from a friendly support person – Sean Mahoney (see below). I also didn’t feel that reassured seeing that one day you “may decide” to make this plan like every other plan and have API access. 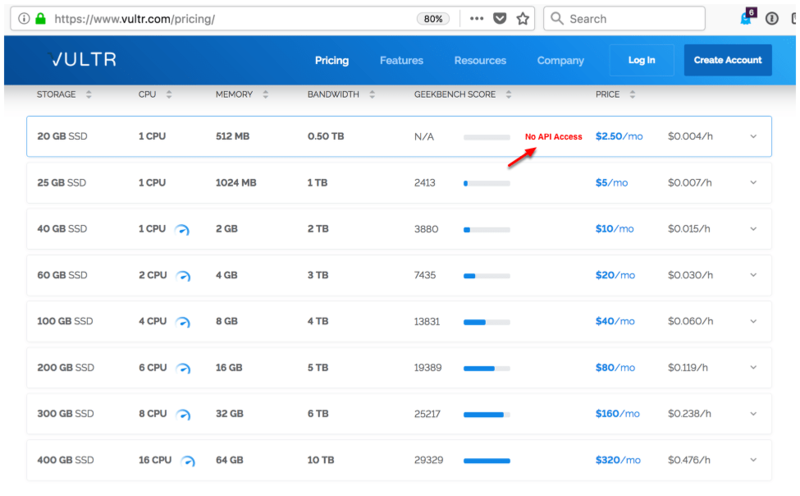 If I’m going to go with a $5 plan – why would I choose Vultr as my VPS provider? If I’m forced to go with the $5 plan, then why would I go with your company and not a more established company like AWS, Digital Ocean or Linode? Additionally, if you go for the bait-and-switch approach on the $2.50 plan – what other surprises can I expect if I continue being your customer? For me, as a customer, this issue engenders a significant sense of distrust. 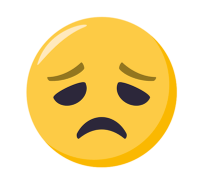 It saddens and disappoints me to have to stop using any services from your company. 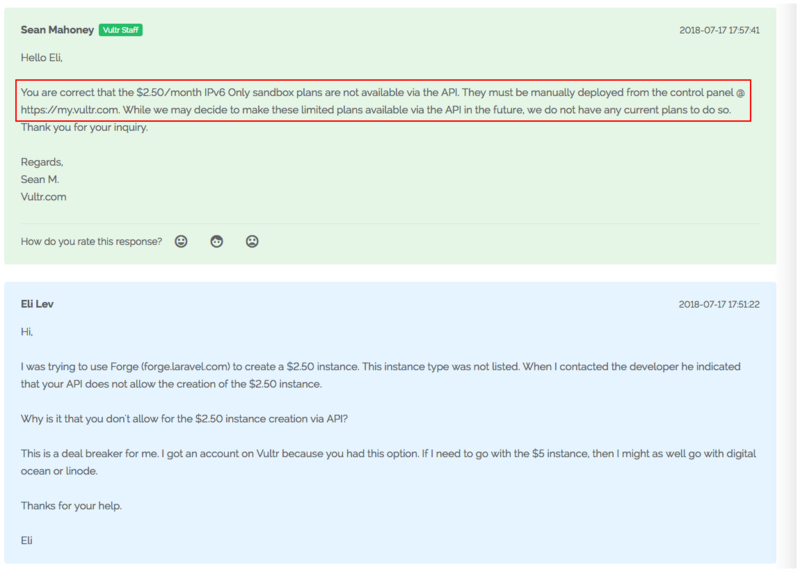 On the other hand, if the API usage issue was available with the $2.50 plan, then how likely would I stick with Vultr? I might have become a loyal customer singing your praises. I don’t like to leave an open letter at this spot without providing some suggestions for improvement. So here goes. My first suggestion to your company would be to update your pricing page to clearly indicate that the $2.50/mo plan does not include API access. I’ve mocked up a sample message below. This one is simple, and it’s based on a message of consistency. Simply offer API access like you have on every other plan, so the $2.50 plan is different only in terms of storage/bandwidth/etc.. This approach does not require any UI changes on your pricing page. It’s the simplest and most honest approach. I would suggest this one over the first suggestion. In conclusion, I think that your current $2.50 plan is a bit of a sham. I would hope that you would take suggestion two and go for the honest approach. I’d appreciate a response regarding this issue. PS: I’m more than happy to update this post with a response from you regarding this issue.